Dental Implants step by step guide - Dental Implants Dominican Republic S.Q.D. Dental Implants step by step guide - Dental Implants Dominican Republic S.Q.D. 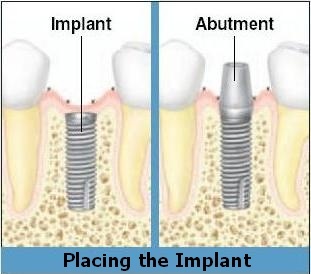 Normally implants are placed the day after all the above is done. Patients must know that implants surgery is not painfull, the effects after are minimun. We will give all the medication needed, pain killers, antibiotics, chlorhexidine, and everything to make you feel confortable. After the surgery patients can talk with the doctors 24/7 for any questions or concerns about the treatment. For implants placement most of the time 3 days are enough, but we always recommend our patients to stay here at least 5 days after the surgery, just to see that they are in good health condition and everything is under control before they come back home. Patient safety is our primary concern. 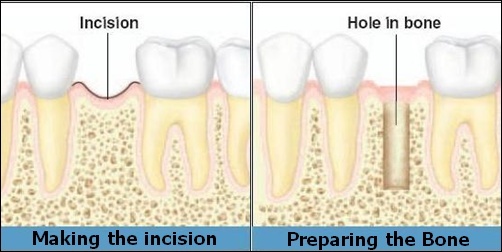 The time needed for these procedures is from 7 to 15 days. Everything is try on patient’s mouth so they can tell how they feel, what they think of their dental work, or what like or dislike before finalizing, so we can do the necessary adjustments in order to get a nice and professional dental work for them. © 2019 Dental Implants Dominican Republic S.Q.D.